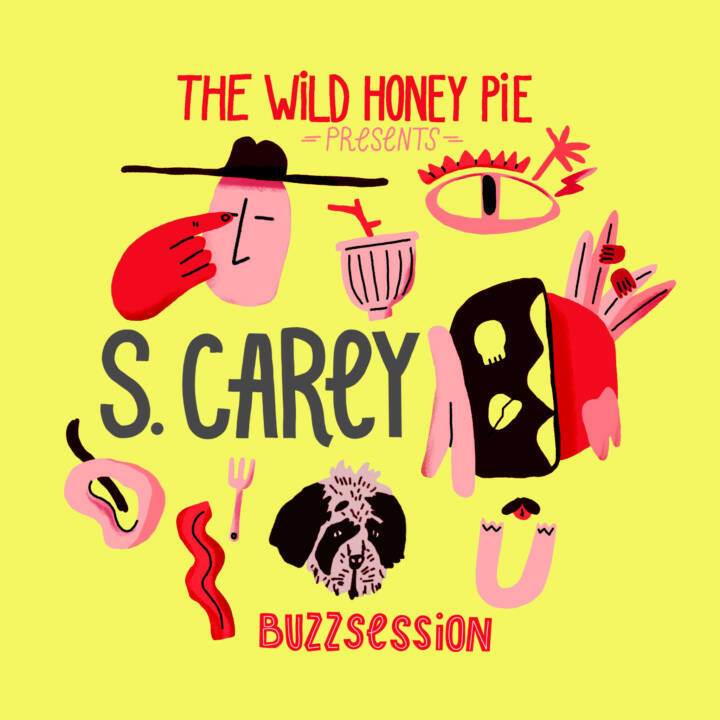 Indie-folk singer-songwriter, S. Carey supplied us with a full dose of his tender, pastoral-inspired sound in our Buzzsession at Shifted Recording in Greenpoint, a studio space which succeeds in cultivating a similarly rustic, peaceful landscape. In an intimate take of the song, “More I See,” off his latest album, Hundred Acres, Carey reveals the importance of emotional openness; reminding the ones you love how you feel about them and the wisdom and beauty of the natural world. Guest appearances by label mate Gordi (and our company dog Buzz) contribute to the rare, organic nature of this live recording. Warm, wood-paneled walls facilitate the seamless blending of Gordi’s soft, soaring harmonies with S. Carey’s airy, intensely stirring melodies. As the drummer and backing vocalist for Bon Iver, Carey is well-versed in the art of producing atmospheric, weep-inducing music that will haunt you whether or not you choose to listen to it on more than one occasion. However, Carey’s solo work has proven to be quite the antidote to the kind of maximalist, ethereal folk music Bon Iver is known for. There is an element of accessibility and empathy in Carey’s work. In Hundred Acres, S.Carey brings something simple, warm and refreshingly old to the table. The earnest tone that flows throughout songs like “More I See” and "True North" highlight the ways in which a more traditional approach to songwriting can at times be both effective and liberating.